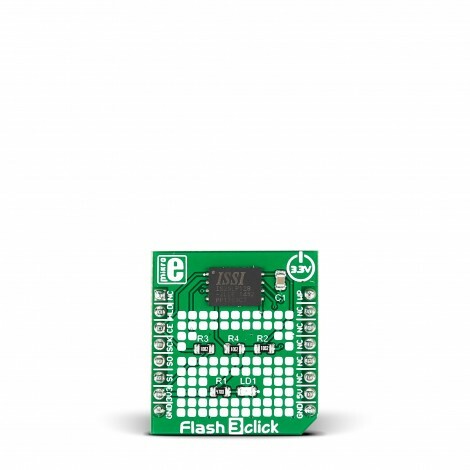 Flash 3 Click is a mikroBUS add-on board for adding more Flash Memory to your target board microcontroller. It carries an ISSI IS25LP128 IC with 128 Mbit capacity. The high-performance Flash chip operates at 50MHz at Normal and 133MHz at Fast Read speeds. It is specified to standard 100,000 erase/program cycles with more than 20 years of data retention. The data can be erased in sectors or blocks and programmed with 1 to 256 bytes per page. 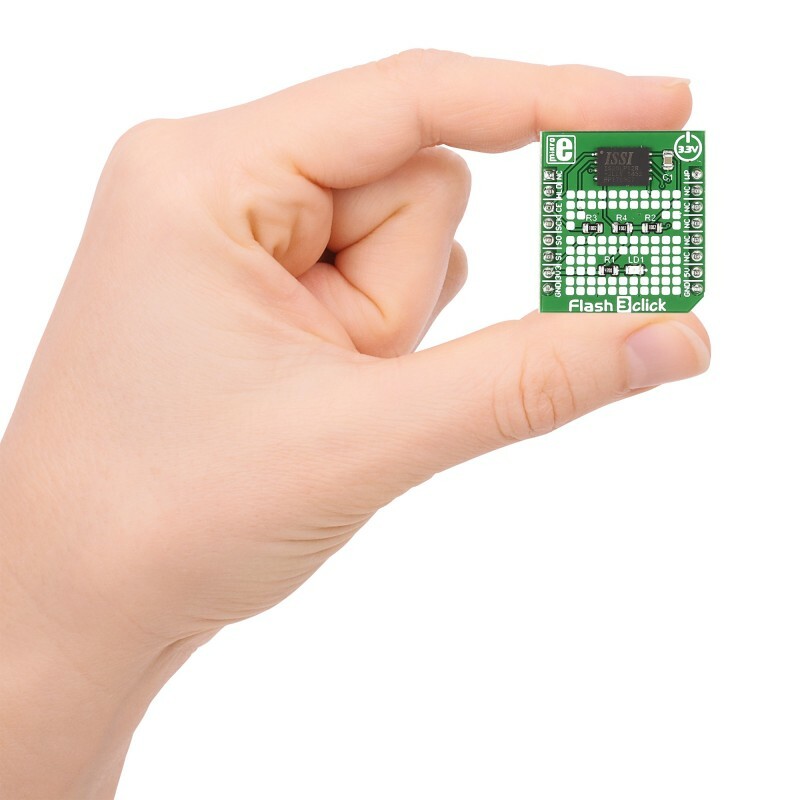 Each chip has a 128-bit unique ID for each device. 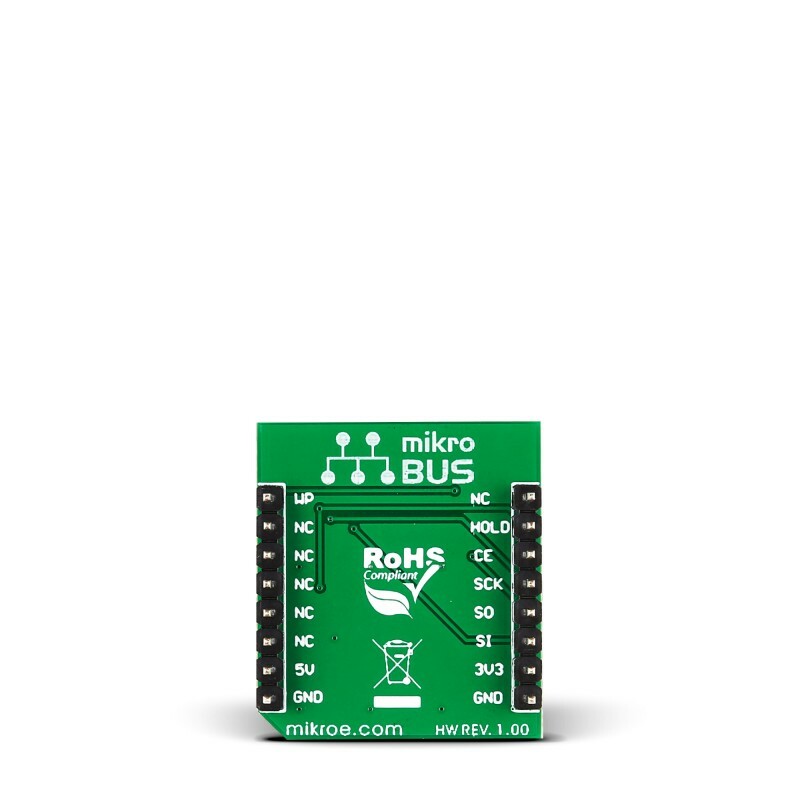 Flash 3 communicates with the target board through the mikroBUS™ SPI interface with additional functionality provided by HOLD, CE and WP pins. 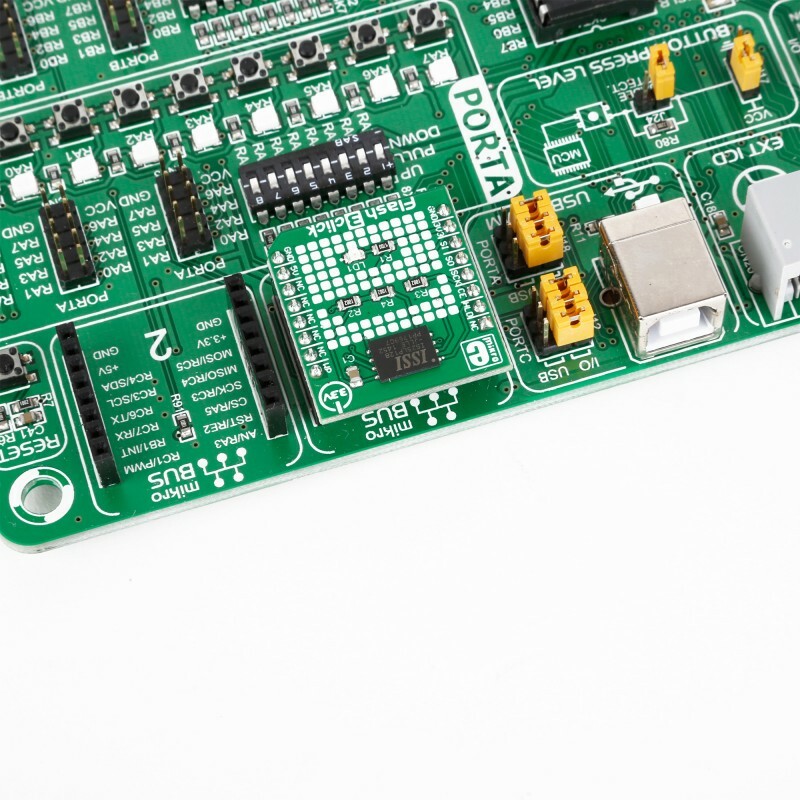 It is designed to use a 3.3V power supply only. The click board also comes with a firmware library which is very similar to the one used for Flash 2 click, documented in this learn article. This example shows the Flash 3 click write routine.